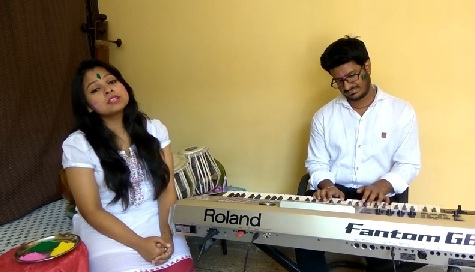 Assam girl, Rinja Risa Kaushik has been creating waves across social media with her powerful and melodious voice. Hailing from the beautiful town of Rangiya in Assam, she began her training in music at a tender age of four. She has been trained under Guru Biharilal Prasad in Dhubri, Guru Rajani Kant Boro in Rangiya and is a disciple of Guru Munish Katheria of Delhi gharana at present.